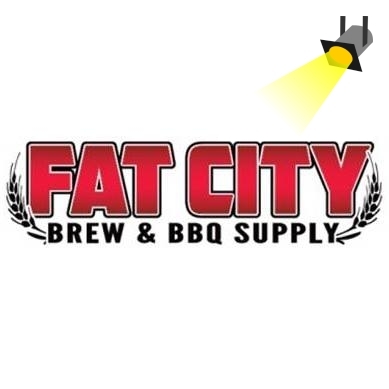 Today's spotlight is on Fat City Brew & BBQ Supply. Fat City Brew & BBQ Supply is a one stop shopping experience for those that enjoy grilling, bbq'n or brewing. Owned by two of the friendliest folks you will ever meet, Don & Nadja King have provided a place to not only get all your barbecue supplies; Big Green Eggs, Grills & Accessories, but they also have a large line of brewing products for those home brewers. Now brand new to the shop are Beer Taps and a Beer Cooler, so now you can enjoy a nice craft beer while you shop. Recently Fat City Brew & BBQ Supply has started carrying Naturiffic's Gourmet Salt line of products. So there you have it, if you are anywhere near Stockton, CA, make a point to get by here. Tell them John with Naturiffic (aka Sir Porkalot) said hello!